"White and black. Light and dark. And me, in the middle of it all. Gray." This book caught my eye, but I was going to give it a pass, thinking it was more suitable for much younger readers. Then I came across a friend's review and grabbed it from the library. Surprisingly, the book was difficult to put down and I got through it in no time at all. I am not going to summarize the plot here, since there is really none to speak of. 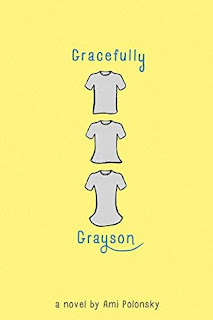 This is a sensitive and delicately written portrayal of Grayson Sender, a 12-year-old who is harboring a deep secret. 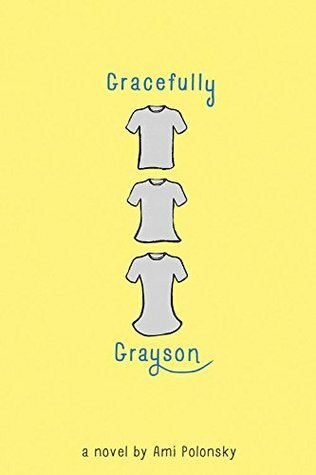 Grayson’s parents were aware of that secret and respectful of their child’s uniqueness, but they were killed in a car accident when Grayson was little. Grayson is now living in the home of an aunt, uncle, and older cousin, all of whom show love, but not the support or understanding Grayson needs. Grayson struggles with loneliness and isolation and eventually makes a new friend. Auditioning for the female lead in the school play allows Grayson the opportunity for self-expression outside of established gender norms. While Grayson has the support of a progressive teacher and the play’s cast members, there is still fear and prejudice to contend with. My only gripe with this story was that it lacked complexity. I would have liked to see a deeper exploration of Grayson’s desire to be a girl. The experimentation with clothing, hair and jewelry heavy-handedly presented outdated feminine ideals with no attempt to dismantle gender stereotypes. Nevertheless, I liked this story a lot and found Grayson to be a very sympathetic and dynamic character. Grayson’s family was also realistic as they dealt with their fears and concerns.